Planning to invest in a business or starting up a new business? Do you have enough funds? Don’t worry Snap Car Cash will help you get cash to invest in your business. We’ve been proudly serving Canada for many years. We provide loans to the people who are in dire need of cash, even if they have a bad credit score or low credit. We provide emergency loans, bad credit car loans and car title loans. A car title loan is a short-term loan taken using your vehicle as collateral. You can enjoy driving your car while making payments. Your loan is simply secured with your vehicle’s title. A car title loan is a quick source to getting money than a traditional bank. You can get approved for the loan and drive home with your cash on the same day. One of the bad effects of having a bad credit score is that borrowing money may not be an easy task. Lenders consider those with bad credit risk due to your credit history and will likely deny your loan application. However, there are some lenders like Snap Car Cash who provide Bad Credit Car Loans In Saskatoon, that do not consider your credit score. You can make early payments without any penalty. Get cash within the hour. 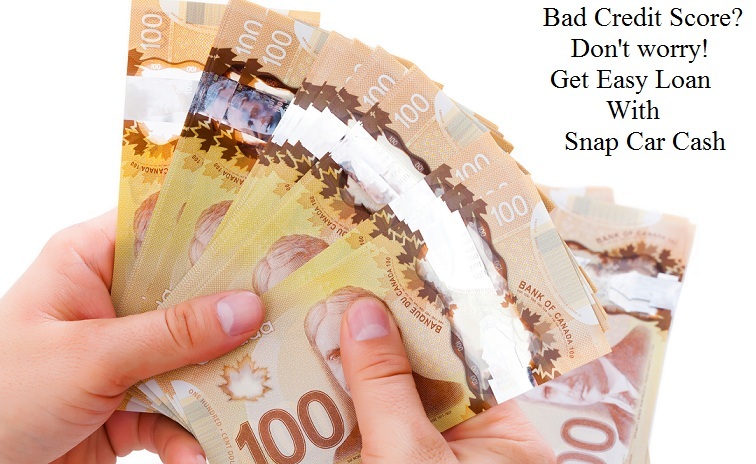 How to Apply for a Bad Credit Car Loans Saskatoon with Snap Car Cash? You can apply online or call us on our toll-free number. Complete the easy and quick paperwork. Get your cash on the same day. You can enjoy driving your car for the entire loan duration. Call us (toll-free) 1-888-886-7627 and fill out the quick application to your right!